It took me some time to sync my iPad 2 to a new computer. I just decided to sync my iPad 2 to my office computer since most of the time I am in the office. My iPad was previously synced to my home computer. I normally sync the iPad after having new purchases and if I download new e-book. Install the latest iTunes in your new computer. Connect your iPad 2 to your computer via USB. 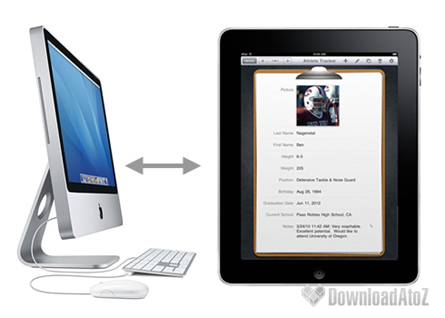 Press “File” then “Transfer Purchase form iPad” – It will transfer all your purchase application both free and paid apps from your iPad to your newly installed iTunes. iTunes will not automatically tick all the installed application. So you have to do it manually. Then Choose whatever application you still want to install. This will be the same procedure for the purchased and installed e-book in iBook. if you happen to press “sync” before transferring the purchased application from your iPad, you may still go to “iTunes Store”, sign-in and then press “Purchased Application”. The windows will show you the paid or free applications that you have downloaded before. Then you can just download the application that you want and then sync it to the iPad. You can now follow the instruction above starting on item # 4. Now I can upload Pdf files using PDF Reader Pro Edition using my office computer. I use to transfer files using drop box while I am outside my home..
For information I am using iOs 5, iTunes 10.5.2.11 and a Windows 7 PC. I don’t know if this will be the same procedure with other version. I took me some time to figure on how to do it. This instruction might help iPad owner in the future. iPad is only allowed to be synced in 1 computer. If you have any other solution let me know.